Teddy Kremer, Michael Buchanan, and Diane Lang, will come to Fort Thomas on Wednesday, May 25th from 5:00 to 6:30 p.m. to sign copies of Stealing First: The Teddy Kremer Story [Deeds Publishing, $18.95 pb]. Teddy Kremer says of his inspirational story, "Nothing—not the state championship, Disney World, President Obama waving at me, or getting my own baseball card—can top the night of April 18, 2013. On that night, I was at the Great American Ball Park as batboy for the Cincinnati Reds. It was the second time I was the Reds’ batboy. Also to be signed by Buchanan and Lang is their book Fat Boy Chronicles [Sleeping Bear Press, $9.95 pb]. In Fat Boy Chronicles, readers see the emotionally-painful world obese teens experience in the face of a thin-obsessed society. Schools around the nation are using the novel and movie to generate discussion about bullying and childhood obesity. Family dynamics, bullying, health and fitness, sibling relationships, and isolation are all a part of Jimmy Winterpock's story. Whether in health, science, language arts, math, or art class; whether with students, parents, educators, youth groups, or counselors, Fat Boy Chronicles provides a starting point for important dialogue. Reservations are requested for this event. 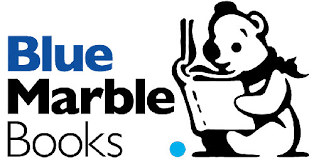 Also, if customers cannot make it to the event, but would like a book signed, they can contact us at (859) 781-0602 or email bluemarble@fuse.net to let us know.